Starbucks Deal! Get $15 GiftCard for only $10! Hurry and grab your $15 Starbucks Gift Card for only $10!!! A Starbucks Card eGift is a digital gift card that can be used towards a purchase at your local participating Starbucks coffeehouse. 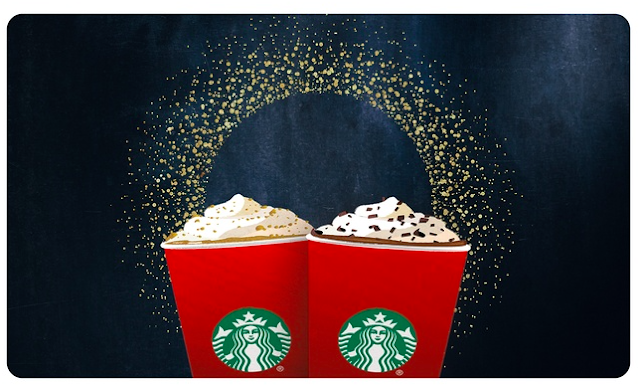 Use it to ring in the season with a Chestnut Praline Latte, Peppermint Mocha, or any of your Starbucks favorites. Use it all at once or across multiple visits in participating stores. The gift card does expire May 31st 2016, BUT I am sure it will be used up WAY before then!